During a goal setting workshop on April 11, Presque Isle city councilors and department officials voted on what they believed to be high-priority goals for 2019, with economic development and potential City Hall improvements among the top five picks. 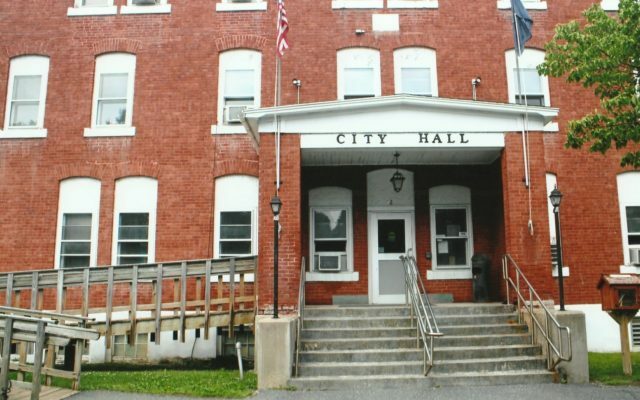 PRESQUE ISLE, Maine — During a goal setting workshop on April 11, Presque Isle city councilors and department officials voted on what they believed to be high-priority goals for 2019, with economic development and potential City Hall improvements among the top five picks. The City Council displayed a lengthy list of suggested goals and invited all supervisors to choose their personal goals during the brief workshop held at the Mark and Emily Turner Memorial Library. Officials chose economic development; drug enforcement; City Hall improvements; increasing use of geographic information systems, or GIS, mapping technologies; and improving employee retention as the overall top five goals for the city to put the greatest focus on throughout the year. City Manager Martin Puckett suggested that in order to move forward with the goals, councilors and department officials should form sub-committees work on and discuss the next steps and regularly update the councilors on progress. In terms of economic development, councilor Kevin Freeman announced to the group that he has been assisting Puckett with developing an official economic development office for the city. Councilors also discussed possible next steps for City Hall such as receiving an updated report from contractors about renovation costs and exploring potential funding for those projects. Past upgrades have included updated light fixtures in 2013, replacement of the building’s front steps in 2014, and installation of automatic doors and new fire alarms in 2016, which cost $4,102, $13,246 and $24,778, respectively. In 2015, local developers Amy Collins and Gary Nelson, of C & N Rentals, offered $150,000 to buy the 3,000-square-foot building, intending to turn it into an apartment complex. The duo backed out of the deal before contracts were finalized, however, because they believed that the costs of renovations, estimated at $400,000 at the time, did not make their project feasible enough to move forward. Since then, the councilors have debated whether to search for a new City Hall location or renovate the 98-year-old building. Although the councilors have not made a formal decision yet on the fate of City Hall, Puckett said the city has funds set aside in a reserve account if they choose to pursue more renovations. Further local police involvement in drug enforcement also proved to be an initiative that city officials supported. Presque Isle police chief Laurie Kelley said that since members of the public voiced concern about alleged drug use at the residence at 36 Oak Street, which the city has since condemned, similar properties have been brought to her department’s attention. “Our biggest priority right now has been the cleanup of those properties,” Kelley said. Many department heads also expressed an interest in increasing the city’s usage of GIS technologies, particularly to help with departments such as code enforcement, assessing, recreation and parks, and public works. City Assessor Lewis Cousins suggested reaching out to Chunzeng Wang, professor of earth and environmental studies at the University of Maine at Presque Isle, to see if there would be opportunities to involve GIS certificate students in mapping projects. Such projects could include collecting and mapping GIS data for the city’s storm drainage system and street lights. “It’s also something we could utilize for the city’s zoning maps,” said Cousins, about the GIS data. Puckett reminded department officials that even though the group’s chosen goals represent the top priorities that the councilors will likely establish at their next meeting, they will continue to work on projects that are ongoing such as the transition to the tri-community landfill, downtown revitalization, seeking state funding for the Kennedy Brook management plan, and extending the bike path near the Sargent Family Community Center. Sonja Eyler, director of the Mark and Emily Turner Memorial Library, thanked councilors for including all city officials in the goal setting process.